AISense's Otter app has a simple, intuitive approach to speech-to-text — and it's free. If you have to deal with transcribing interviews as part of your daily work (like we do), you’ll find a welcome partner in the new Otter app. Developed by former employees from Google and a speech-recognition veteran Nuance, Otter is a free service that transcribes speech on the go through the power of artificial intelligence (AI). Voice transcription services aren’t new. 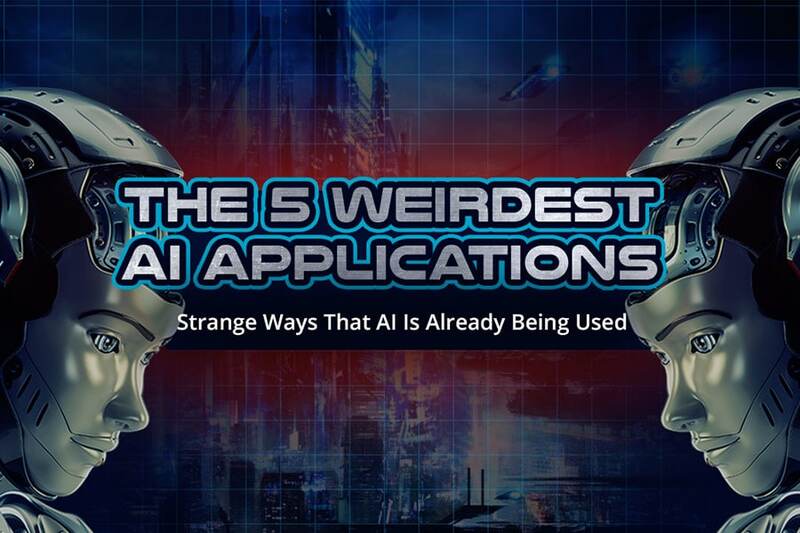 There are a number of apps available out there, sure, but none seem to work like Otter — and we’re not even talking about the AI aspect yet. Most voice-transcription apps that are free aren’t very accurate, and those that work really well are often too expensive. Additionally, none transcribe in “real-time” as Otter does. AISense, the startup that developed Otter, saw an opportunity here. 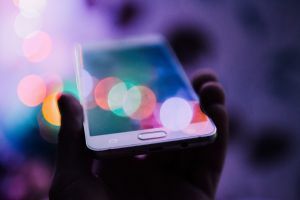 There was a market ready for Otter to penetrate, as it proved during its launch at the Mobile World Congress this past week. “This is a perfect time,” AISense CEO and founder Sam Liang told CNet. This app not only has market trends working in its favor, but it also benefited from a ton of work that has been done recently on voice and AI. There are speech recognition algorithms, which most of us are familiar with because of virtual assistants trained to “talk” to us — Apple’s Siri, Amazon’s Alexa, and Google’s creatively named Assistant. In fact, Amazon is supposedly close to developing another “real-time speech translation” service using Alexa. On top of this, promising algorithms have been built to produce synthetic speech. Google’s DeepMind proved it can already mimic human speech with astonishing accuracy and clarity. All of these developments made it possible to design the Otter app, Liang explained. “With AI tech and deep learning in the last few years, the accuracy for speech recognition has improved dramatically. A few years ago, this system wouldn’t be usable,” he told Cnet. Otter has a rather simple but intuitive approach to voice transcriptions. As soon as you install the app, available for free for both Android and Apple users, it asks you to do a short and long recording — which you start by pressing the app’s mic icon. These become the basis for your “voiceprint” so that Otter can identify you in the recordings you make. Otter saves your voice and tags your transcriptions. Why does it need to identify you? Well, because Otter’s live transcriptions are ideally separated by each speaker. Also, the raw transcript of a live conversation you’re recording appears almost immediately in front of you. Otter’s AI also automatically puts tags in every recording and transcription you save for easier file management. Of course, it isn’t flawless. Otter has certain issues with punctuation, which it tends to leave out, and has difficulty working in crowded places or with loud noise in the background. Plus, you can’t transfer audio recordings not done directly using the app. 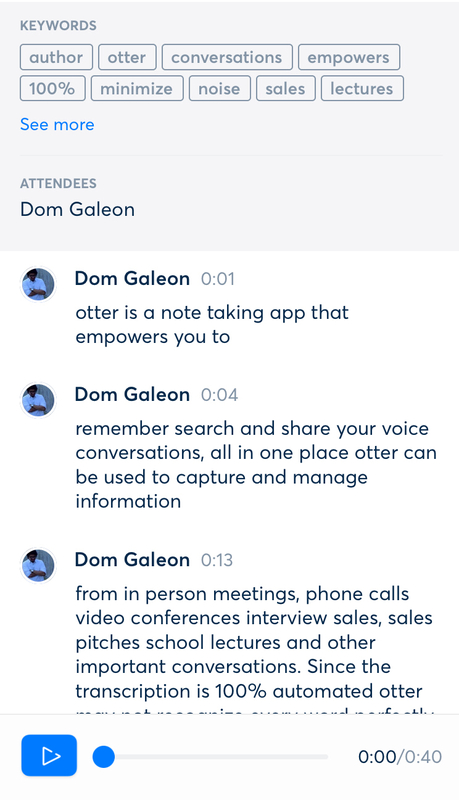 Still, for those who do interviews, take copious notes during classes or meetings, or would simply like a hands-free way to record their thoughts as text, an app like Otter could make life much easier. After all, who transcribes speech for the fun of it? Better try it out while it’s still free, though. AISense plans to implement a subscription model to access extra features later on.